The Key Largo Fire Pit Table in Brown is much lighter and brighter than the other Key Largo color schemes, which feature black on grey and black on silver patterns. 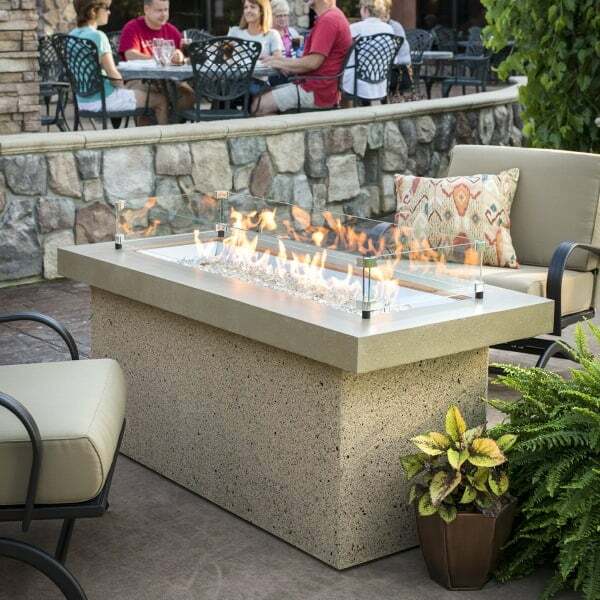 The Key Largo Fire Pit Table is compact and reaches a chat height of nearly 21’’ tall. The chat height is ideal for integration into chat height seating sets, or deep seating sets like cushioned love seats, in between chaise lounges, with Adirondack chairs and more. The chat height is common and sought after for communal entertainment settings. The Key Largo Fire Pit Table features a blend of countertop and a central fireplace. The flames are contained to the center, and the surrounding countertop may be used for appetizers, cocktails, card games and more. 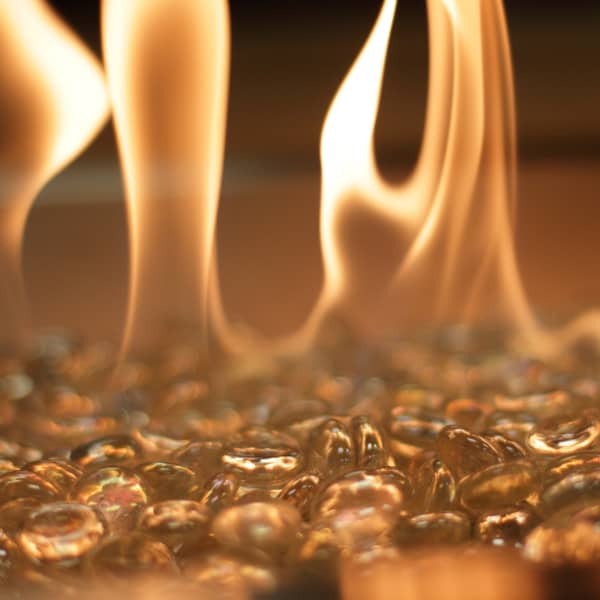 The flame runs on either liquid propane or natural gas, and you hold the controls: ignite, extinguish and adjust flame height with ease. Let Outdoor GreatRoom open your eyes to new ways of living outdoors!